"We regard our tours as being a return to our favourite places accompanied by a group of friends, which is why some of our guests have returned three, four and even five times to travel with us". 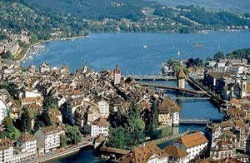 Our 2010 Tour will commence in ZURICH, where we will spend two nights before travelling by private coach to Lucerne. The LUCERNE FESTIVAL (the largest and arguably best music festival in Europe) remains very important for Lingua Musica for the simple reason that one can always depend on performances of the highest order. BERLIN is a city of fascination. It is in the forefront of culture and interest, always appreciated greatly by our groups, especially under the guidance of our expert local guide, Bruce Anderson. The Bicentennials of the births of Robert Schumann and Frederic Chopin add another frisson of excitement this year. Robert Schumann is especially important in the wonderful cultural city of LEIPZIG, where also the mighty J.S.Bach, Felix Mendelssohn and Schuman’s brilliant wife, Clara, Brahms and others, figure largely. Our chosen routes are beautiful, the music and opera performances exhilarating, you will travel in comfort, in air-conditioned coaches and stay in centrally located 4* hotels, not to mention the exquisite dining experiences you will savour in these vibrant cities. After much consideration we have created a route which will be comfortably managed by private coach, wonderful European train service and by air. As always, our tour has been constructed into the Main Tour, plus optional additional travel to Vienna and Ljubljana. Experience has shown that this freedom satisfies those who may wish to combine the Lingua Musica tour with private travel. Zurich is most beautifully located on rivers and lakes and surrounded by wooded hills, about 30 kms north of the Alps. The largest city in Switzerland, it is the main commercial and cultural centre, with most attractive and interesting buildings. Our Tour commences with a Welcome Dinner and meeting with Roma Randles and Tour Assistant. We will commence with a conducted walking tour of the absolutely charming Old City, located on both sides of the River Limmat. The Old City reveals to us so much of what it was like during the Middle Ages, when the Hechplatz, for example, was right on the water and the oldest wine tavern in Zurich, the Zum Raben, was often used as residential accommodation by visiting monks. The Welte Gasse leads into the Oberdorfstrasse, where you will see the 'Zur Vogelhare', built in 1316, which has been a bakery all this time and still today sells bread through its window. The Grossmunster Cathedral can be glimpsed as we climb some steep ancient stairs and pause for rest beside the lovely fountain in another small square off the Trittligasse, which was once an up-market residential area for wealthy clergy and scholars. Their charming little gardens and courtyards remain today. This walking tour continues along similar lines, exploring the fascinating legacy of the Middle Ages, and merging into later eras. Some wonderful churches and galleries will be included. Free afternoon for further exploration at your leisure. This morning we drive via a most delightful scenic route of green valleys and pretty villages, always overlooked by mountains as we wind our way to Lucerne, not a great distance away from Zurich. We are staying in the beautifully located Hotel Hermitage (4*) where your luxurious rooms look out over sloping green lawns to the water, across which the surrounding peaks look so spectacular. Our Guide will take us on a conducted walking tour of Lucerne's many highlights. You will be introduced to tiny squares, wooden bridges over rushing water and fascinating glimpses of life as it was in a different era ... such a contrast to the glamour and bustle of this modern city as it is today. The old Grain Exchange became the Old Town Hall, a Renaisssance building from 1602 with a tall rectangular tower. From here it is possible to view the activity of the Tuesday and Saturday markets. The 17th century Am-Rhyn Haus houses a small Picasso collection, but soon we come to the very symbol of Lucerne ... Kapellbrucke, a covered wooden footbridge over the River Reuss, which was built in 1333. It was badly damaged in a fire in 1993 during which two thirds of the 122 paintings along its length, some dating from 1959, were lost. After a massive national reconstruction effort, Chapel Bridge reopened in 1994 ... a tribute to the speed at which things get done in Switzerland. Another interesting wooden bridge is the Mills Bridge, built in 1407, whose gables are painted with an interesting mural, The Dance of Death, which commemorates the plague which swept through the city. The lovely old square with a fountain is the Wine Market and here there is a drugstore dating from 1430. There are other lovely little squares featuring restored houses with painted facades and soon you will come to "Panorama", one of the largest canvases in Europe, contained in a round building designed especially for it and depicting the bloody retreat of the French army into Switzerland during the Franco-Prussian War. The famous Lion Monument, carved deep into a sandstone cliff above the town, another great symbol of Lucerne, was seen by Mark Twain on his travels and he called the Dying Lion "the saddest and most poignant piece of rock in the world". Retracing our steps back to the Kurplatz, we will enjoy the great view of the lake and mountains. Frequent buses from the station bus park transfer us back to our Hotel Hermitage taking about 7 minutes. This evening we will dine early at our hotel, before our first festival concert, at the magnificent Lucerne Festival Centre. San Francisco Symphony Orchestra, conducted by Michael Tilson Thomas. Ravel: "Valses Nobles et Sentimentales"; Suite No 2 from "Daphnis et Chloe". Today we have a matinee concert. This morning we will take an excursion to the lovely "Tribschen", Richard Wagner's home for several years, now a museum. During this time there was so much personal drama in his affair with Cosima, daughter of Franz Liszt, whom he subsequently married and it is also where he worked on Die Meistersinger and Parzival, among other musical and literary occupations. This afternoon is free. Options include a lake cruise and funicular up to beautiful Bergenstock, a delightful resort full of hotels, boutiques, restaurants and easy walking paths into the woods. Or a similar excursion up to Rigi, at an even higher elevation. Tchaikowsky: "Eugene Onegin" Lyric scenes based on Pushkin's novel, A Concert Performance. A free day to shop and to explore wonderful Lucerne independently. Early dinner before our final Festival Concert. Vienna Philharmonic Orchestra: Conductor: Nikolaus Harnoncourt. Note: You may be wondering about the interspersing of the spellings, Luzern and Lucerne. The city is in the German sector of Switzerland and has been referred to as Luzern by the locals but some modern usage has substituted the French spelling, Lucerne. This morning we will travel in our private coach via a different route back to Zurich for our flight to BERLIN. Our hotel is centrally located just off the famous Kurfurstendam. Dinner in hotel this evening. Berlin is a tremendously vibrant and exciting city with an expanse of park and woodland. Much of the new architecture has come about as the result of international architecture competitions and it combines satisfactorily with the Old...the classical "Athens on the Spree”. Before the Wall came down, the lovely tree-lined boulevard, Unter-den-Linden, ended in a small cul de sac at the Brandenburg Gate, which was then the East / West border. Today it has resumed its rightful status as an important part of the historic centre of Berlin, with its opera, concert and important art venues. Here we will visit the famous Pergamon Museum and others and see the architectural genius of that consummate classicist, Karl Schinkel, among so much more. Sir Norman Forster's New Reichstag, with its deliberate 'transparency' is fascinating, and Daniel Libeskind's New Jewish Museum is both moving and visually challenging. We will also focus a little on Felix Mendelssohn's sister, Fanny, also a brilliant musician and composer at a time when a woman's public exposure was frowned upon, and so much more. 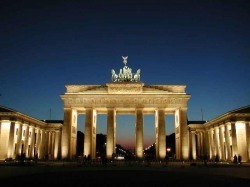 Your time in Berlin will be a fascinating and busy mix of music performance, history and culture. Our first day is a guided excursion of discovery with our wonderful Berlin guide, who is a walking encyclopaedia where his Berlin is concerned. He will take you on an exciting orientation tour, driving along the lovely tree-lined Unter-den-Linden, with its grand 18th and 19th century monuments and architecture, including the State Opera and Cathedral. We will then walk around the Nikolai Quarter and Museum Island, and visit Sir Norman Forster's amazing New Reichstadt and the New Jewsish Museum of Daniel Libeskind. The day will include lunch at the Luisenbrau Brewery restaurant. Debussy's beautiful and interesting "Pelleas and Melisande" at the wonderful Deutsche Opera. After a free morning, we will spend the afternoon again with our same guide, who will take us to the famous Pergamon Museum and others. Evening Performance. Program details will be announced as they become available. With our Berlin guide, we drive to the shores of Lake Wannsee for a cruise to POTSDAM. Our coach will meet us there and take us to both to the amazing Sans Souci Palace of Frederik The Great and to the Cecelienhof Hotel, where, in 1945, Churchill, Stalin and Eisenhower met to formulate The Potsdam Agreement. (Lunch will be served here). This summer residence of the Prussian kings is a delightful place, with still rows of baroque houses. The Sans Souci Palace is the epitome of rococo style with its ceremonial rooms and wonderful floors (which is why we must wear enormous soft over-shoes!) The palace is situated over terraced vineyards and a wonderful park containing an interesting Chinese pavilion. You will be able to take tea independently in the park...depending upon when we have had lunch at the Cecelienhof. After a delightful day you will settle back in our private coach for the journey to LEIPZIG...estimated to take about 2½ hours. Dinner will be served at our hotel on arrival. Our LEIPZIG DAYS will be arranged with guided tours, music performances, a visit to the famous LEIPZIG CONSERVATORY, plus visits to the homes of both Robert & Clara Schumann and of Felix Mendelssohn. There will also be interesting talks with an emphasis on the bicentennial celebration here of ROBERT SCHUMANN. This is a city closely associated with music, but also with printing and art. Johann Sebastian Bach, Music Director here for the last and longest period of his life, will be another of our concentrations in this wonderful city, as well as so many other music and literary figures, Johannes Brahms, Goethe, as well as Schiller. We commence our Leipzig days with a full day, commencing with a guided tour of the Schumann House, and a private piano recital of selected Schumann works, followed by lunch at the historical Paulaner Palais restaurant. After lunch we will visit the home of the Mendelssohn family, followed by a visit to the famous Leipzig Conservatory, where so many of the world's musical greats studied. We have a full day excursion to delightful Weimar, renowned for many musical, literary and political reasons. There will be an informal talk in Liszt's home, as well as visits to other locations associated with Liszt, also Goethe, Schiller and of course, JS Bach. We will lunch in The Little Swan, Goethe's favourite inn and take late afternoon tea in the glamorous Elephant Hotel, which in the dark years, was one of Hitler's favourites. Its balcony, famous for Hitler's many 'addresses to the Nation', was pulled down in anger after the War. Our afternoon is filled with a guided tour of this 'City of Music, including a visit to the Bach Museum and other interesting sights in Leizig. Our guided tour will conclude with a 6pm concert by the famous St Thomas Boys' Choir in the St Thomas Church, where JS Bach was the director for the last and longest period of his life. We will have dinner in an historic restaurant after the concert. After a free morning, we take the afternoon train from the spectacular Leipzig Bahnhof back to Berlin. Final dinner and review of our experiences in a Berlin restaurant. Our Tour concludes after breakfast. Those travelling on to Vienna & Ljubljana, will take the afternoon plane to Vienna. PLEASE NOTE: Our Due dates and deposit are necessary so as to secure Priority Seating for Performances. Your detailed Tour Handbook contains the exact daily schedule, all background and historical information regarding each location visited and performance venues. It will also contain detailed Programme Notes, including information on Orchestras, Soloists and Conductors, as well as Essays and Articles of interest. Your Handbook will arrive TWO WEEKS before DEPARTURE. PLEASE ADVISE US WELL AHEAD if you are intending to commence your travels earlier so that we can forward you your Handbook before you depart Australia. Note: This file is in pdf format, requiring Adobe Reader. Please email us if you have any difficulties or call us on 61 (02) 9327 5733. Note: This file is in pdf format, requiring Adobe Reader. Please email us if you have any difficulties. BANK DEPOSIT is also available by arrangement. Please contact us if you prefer this payment method. PLEASE NOTE: Please read the TOUR CONDITIONS on the back of the Booking Form carefully before signing. In signing the Booking Form, you are declaring your fitness to participate in our Walking Tours through Old Towns, usually with cobblestones.